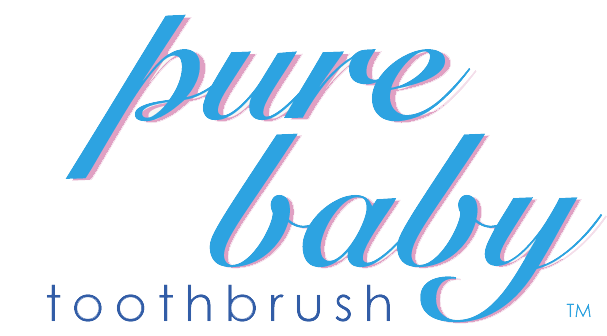 Premium, USA-made, quality oral care to be exact. Pura Naturals Pet™ is an expert in pet health and wellness. What do you get when you combine the two? An organic oral care option that’s safe, effective and tasty (yes, for humans too) for your favourite canine. So why make the leap into organic pet care, you ask? Truth be told, RADIUS has been thinking about diving into the pet market for quite some time. Over the years we’ve heard from numerous pet owners that our toothbrushes make great brushes for both their canines and felines, so the idea of a RADIUS pet line has been in the back of our minds for a while now. When the opportunity to partner with Pura Naturals Pet came about, it just made sense. We’re two like-minded companies that are devoted to making environmentally-friendly, American made products that revolutionise daily life by offering higher quality and real results. In short, we both want to make products better by design – whether they be for you or your pet. It was a long process of research and design but we think we’ve got a winner. By combining RADIUS’ renowned premium personal care products with Pura Naturals Pet expertise on award-winning organic pet health & wellness, the result is a naturally better choice for you and your beloved fur child. We’ve developed an Organic Canine Dental Kit that includes a premium toothbrush with varying bristle types to match your canine’s life stage – choose from Puppy, Adult, or Senior. The toothbrush has a corner-less head which ensures you won’t cause any harm to sensitive teeth and gums. The perfectly sized head is great for dogs of all sizes. From Dachshunds to Dobermans you can get into tight spaces to brush hard-to-reach teeth all while massaging those gums. The Kit also includes a travel-sized tube of USDA certified organic canine gel toothpaste that’s safe, benefit-rich, and delicious (yes, we’ve tried it & you can too!). Made with organic sweet potato, cinnamon, and coconut oil you’re helping to fight plaque, remove tartar and freshen breath all in one fell swoop. Because we know your pup will love this formula, we’ve also made our Organic Canine Gel Toothpaste available in a full-size 3-ounce tube. At the end of the day we believe that premium, organic oral care shouldn’t be exclusive to humans. Your beloved pet deserves the same care and quality as you. We use the term “pet” loosely because we understand they’re so much more than a pet. They’re part of your family and the love you have for them should be reflected in the products you use to care for them. Pura Naturals Pet is a proud sponsor of Karma Rescue, Paws for Life and the SPCA. Please note that the toothbrush included in our Organic Canine Dental Kit can be used for cats, however our USDA Organic Canine Gel Toothpaste is not safe for cats.